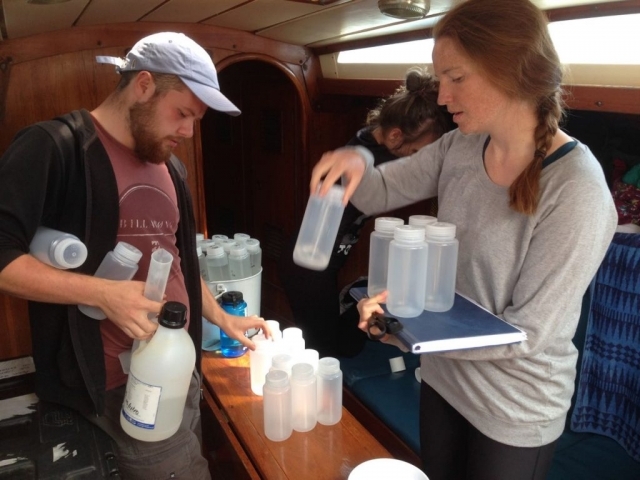 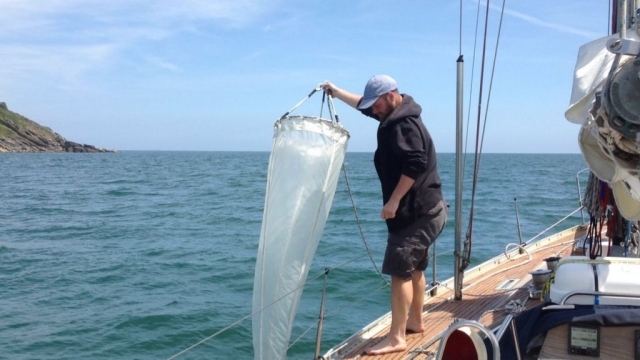 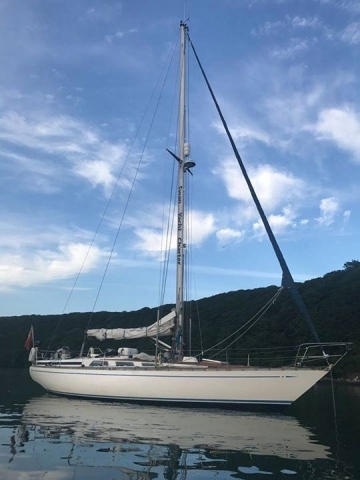 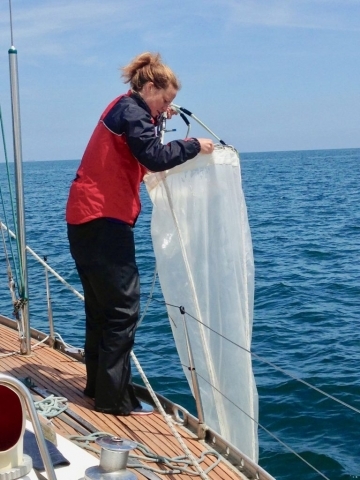 In June Sail Britain set sail for the stunning rivers and flooded valleys of Cornwall to undertake a microplastics survey on the sea. 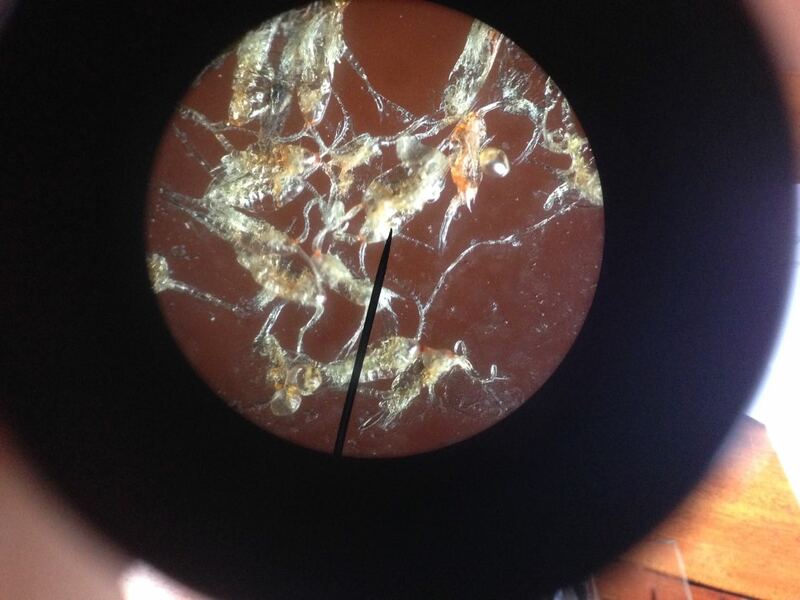 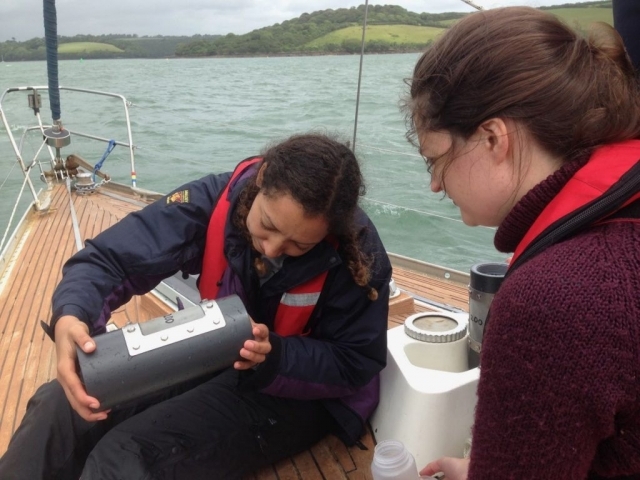 Microplastic pollution is one of the greatest challenges facing the ocean and the vast majority originates from land-based sources, so our water samples were taken from many areas to get a picture of the concentration and distribution of particles in the Helford River, Truro River and the Fal estuary. 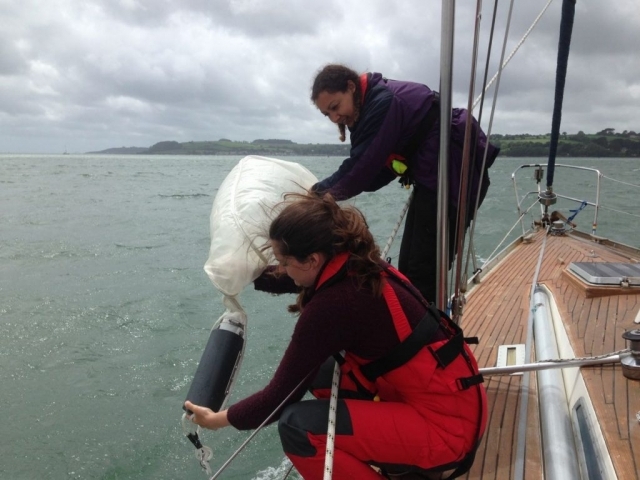 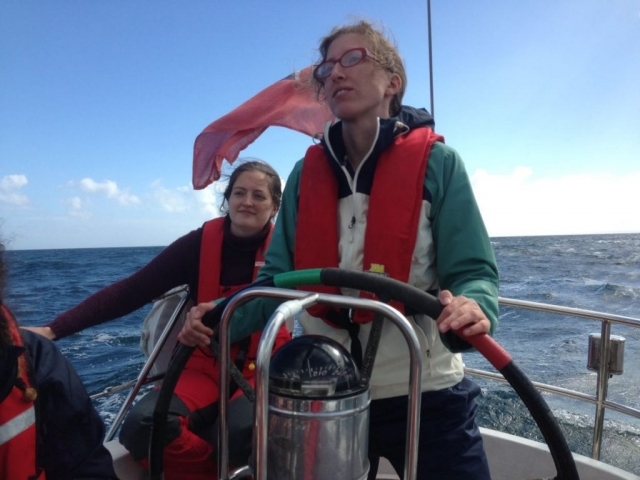 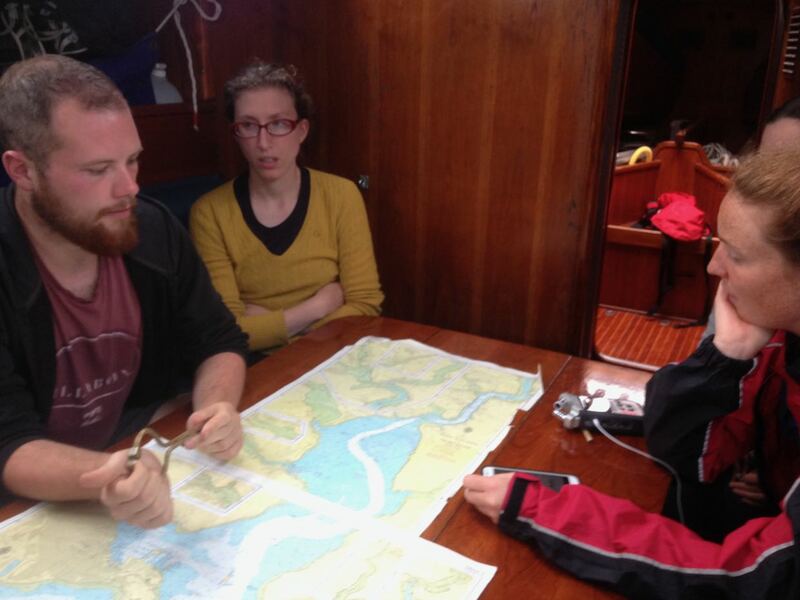 Nick and Kate joined us again from Exeter University’s Marine Biology department and Centre for Water Systems respectively to lead the research project, and of course to experience the ocean environment first hand under sail, and explore the beautiful rivers. Our first day dawned bright and the turquoise sea sparkled in the sunshine as we stormed out of Carrick Roads at over 8 knots into a fresh southwesterly breeze. 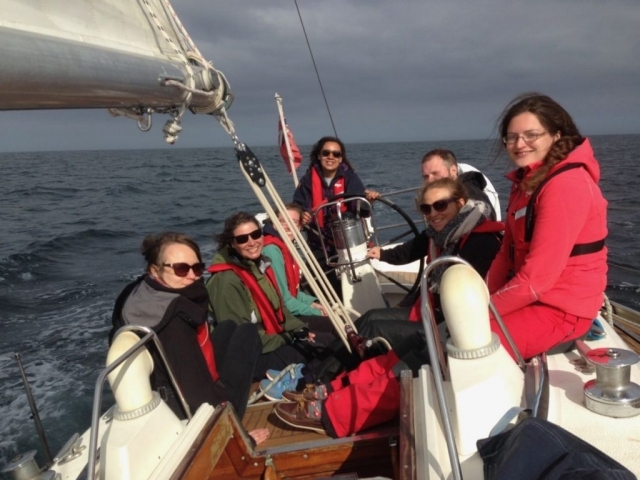 The team spent the first few days just learning to sail and getting to know each other, which is vital for any expedition, and also learning about life onboard a yacht. 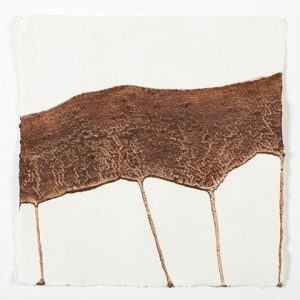 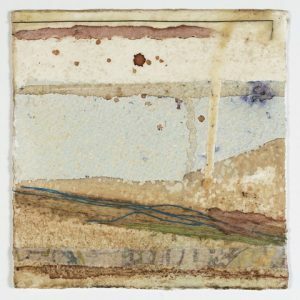 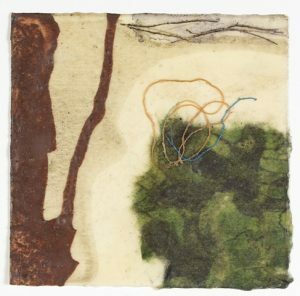 We also had an artist in residence in the crew, Tessa Grundon, who was working alongside the research team and her work will help to spread the environmental message to a wider audience. 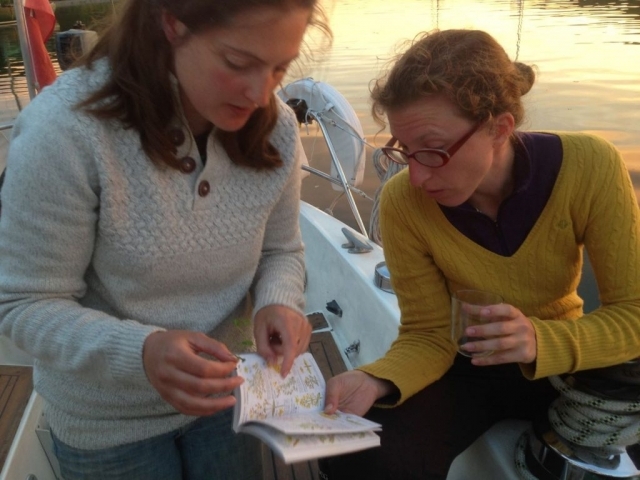 Her ideas also added a valuable dimension to the scientific research. 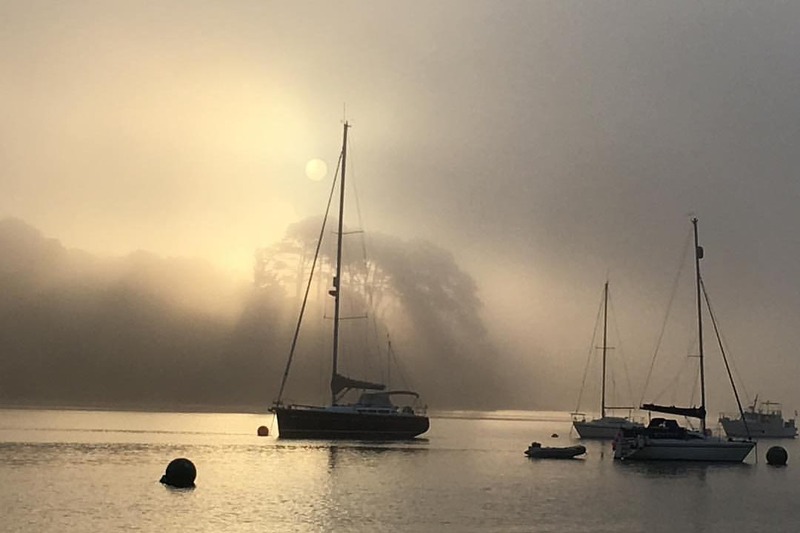 We were spoilt by some seriously beautiful anchorages and visited some of the stunning little harbours on the South coast of Cornwall, and had time to explore the many untouched backwaters with their history of smuggling and romance, such as Frenchman’s Creek of Daphne Du Maurier fame.